Riverside Square The Queen Condos is a New Condo development by Streetcar located at Queen E and Don Valley , Toronto. Riverside Square The Queen Condos is the first tower of a 4-tower mixed use community elegantly placed at the edge of Queen St. East and the iconic DVP bridge. 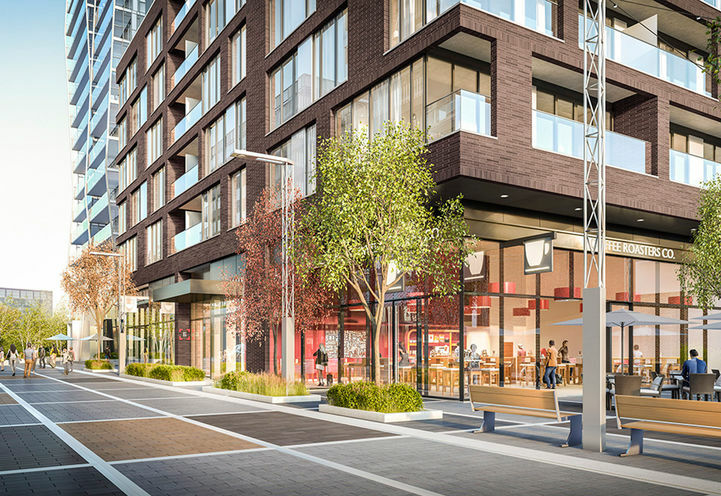 A community inspired by its rich heritage and modern amenities, the 5 buildings will enclose a vibrant outdoor square, bringing the community together. 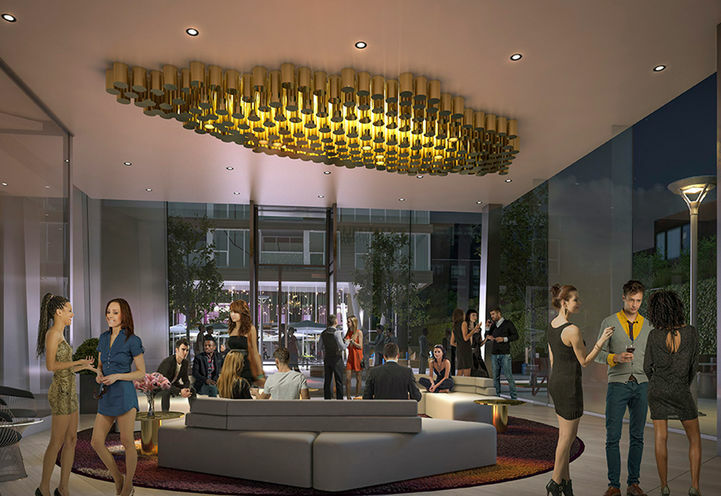 Designed by acclaimed architectural firm RAW Design, Riverside Square Condos has amenities that everyone desires. 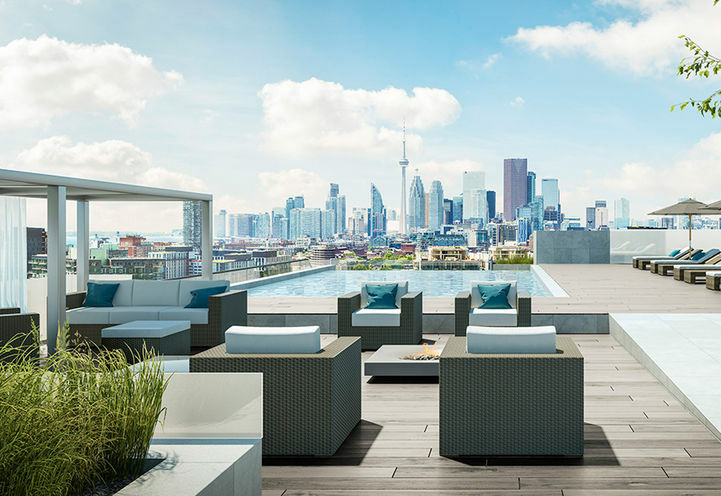 Rooftop pool and green space, sun deck and interior lounge brings glorious views of the city. 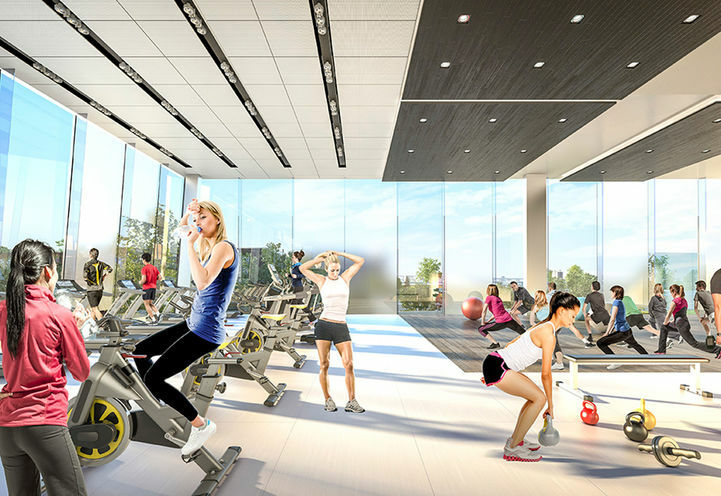 Work up a sweat at the state-of-the-art fitness centre or entertain guests in the private party lounge. Envisioned for those who value living in a unique neighbourhood that is a kaleidoscope of people and places. 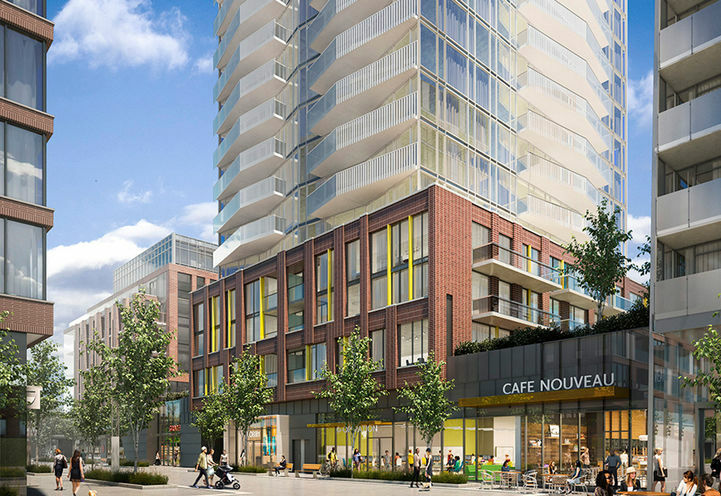 A vibrant fusion of new businesses and longtime neighbourhood staples surrounds Riverside Square The Queen Condos. Enjoy everything you need close at hand, destination dining, cafes, yoga studios, arts & entertainment and much more. 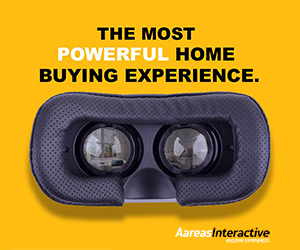 Be at the heart of a rapidly growing scene. 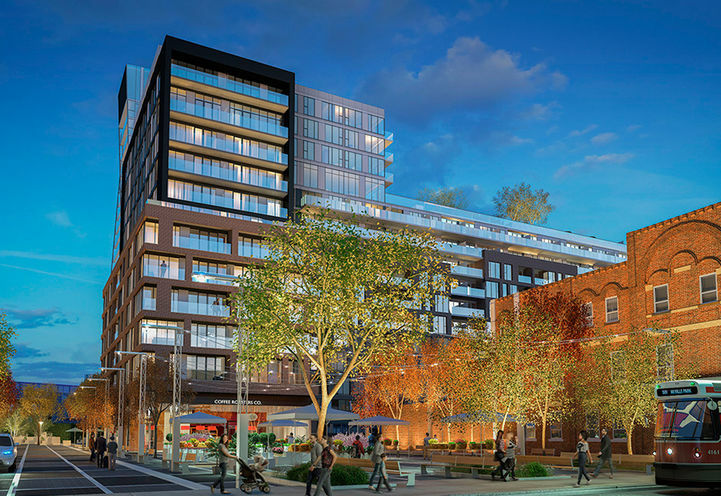 Surrounding Riverside Square Condos are the exciting neighbourhoods, Leslieville and The Distillery District. 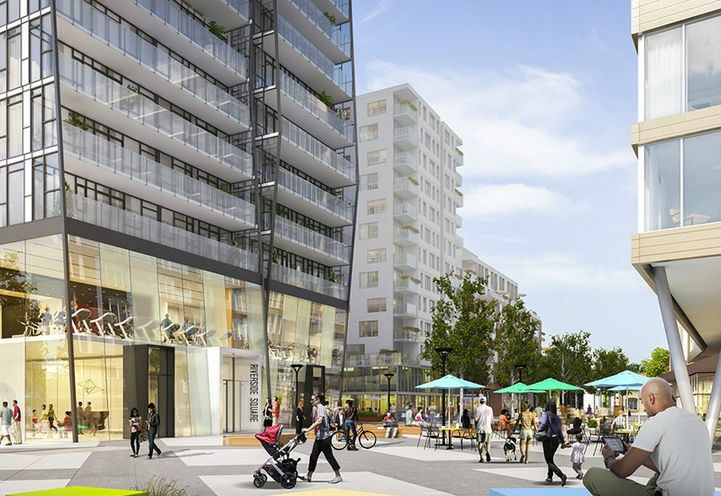 Everyday errands can be done without a vehicle as this development has a walk score if 92/100. For commuting to school or work via public transportation, a one minute walk to the 301, 501, and the 502 Queen Streetcar stop will connect you to a variety of subway stations and get you across the city. Motorists can easily access the Don Valley Pkwy via the Don Roadway on-ramp located just 2-minutes away. Streetcar Developments is a Canadian based firm that delivers results. Since 2002, their full team of visionaries are involved in all stages of development. *Last Updated on Dec 22, 2017 by CondoNow. All information, prices, terms and conditions subject to change without notice. E. and O.E. Riverside Square The Queen Condos is a new Toronto Condo in the South Riverdale neighbourhood by Streetcar DevelopmentsP0RPO.